Every once in a while bees swarm and unfortunately they may swarm near your home. 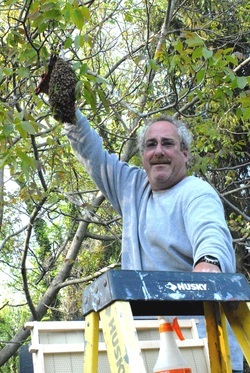 Birds and Bees Farm offers Swarm Removal. We will come to the swarm and, using specialized gear, will remove the bees. For more info or to report a swarm, contact us!! !